Orange Beld welcomes you to indulge in high quality designer socks that will leave your peers guessing what you will wear next. We understand that everyone has their own style, trends and personality. Keeping our customers in mind, we started from the ground up, and we built a company that is all about bold socks that can and will make a statement. No matter what industry your career is in, our mismatched socks are for you. From businessmen and women to baristas and sales clerks all around the world, our high-end mismatched socks can be seen being worn everywhere you look. These well established fashion accessories don’t only make everyone who wears them feel powerful, but they make them feel stylish in their own way too. Match your mismatched socks by color and/or pattern, and feel empowered by doing so. When you shop with Orange Beld, you will be astonished by how many wonderful options we have given you. We created a whirlwind of visually captivating products, so that you can be yourself and show the world your true colors. All of our mismatched socks are made with care and high quality materials. Mismatch your socks with one another and make a stand to only wear your incredible striped knee high socks with any outfit you desire. Start shopping now, and feel free to contact us with any questions you may have about our bold, designer mismatched socks. Are you searching for designer socks that can be mismatched, while staying stylish and trendy? At Orange Beld, you will find just that. We are your #1 online store to find bold socks that can speak for you and make a statement. No matter what industry you work in, our top of the line designer socks are styled for everyone and everyday wear. Do you wear a suit and tie to your career? If so, stop wearing your suits with normal and boring everyday black, blue or brown socks. Instead, give our striped knee high socks a try, so that the next time someone peeks down at your socks, they will be impressed! Others who see your Orange Beld socks will know that you have a fun personality, great style, and love to mismatch, not to mention the fact that they will want some of their own! Not only do we provide all of our male customers with a more creative option when it comes to socks, but all of our incredible products were originally created to provide our customers with a visually captivating sock that is high quality. We created an abundance of socks that you and many others will appreciate, no matter where you are in the world. Shop our incredible new sock designs today and mismatch your favorite styles and colors! What are you waiting for? Be a part of the bold sock movement now! At Orange Beld, our focus is lifestyle, and creating more fashion accessory options for men. We provide our customers with visually captivating products, and embrace styles that can be appreciated around the world. 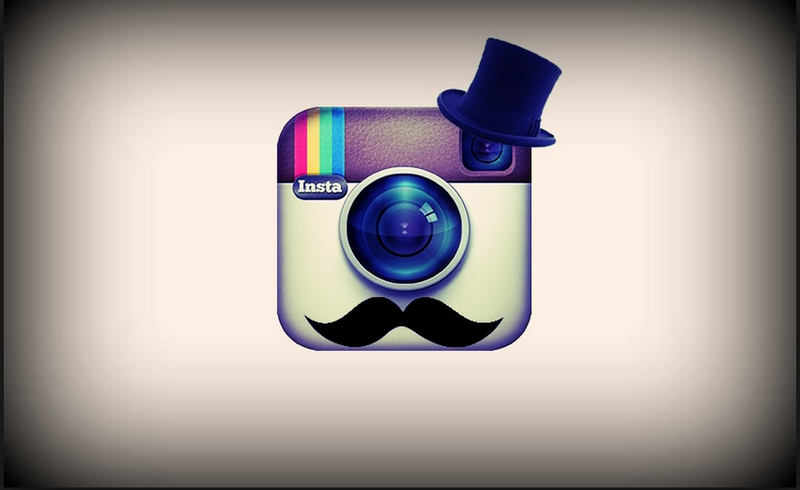 Below are some Instagram accounts to check out to see examples of high quality fashion and how styles around the world have become influential and ever-changing. 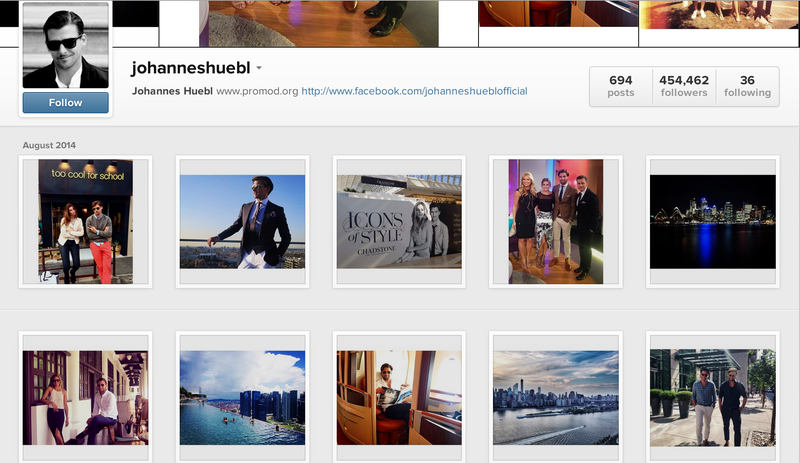 @johanneshuebl – Johannes Huebl is always nailing his dapper outfit choice. He is a model of various clothing brands like A|X, Saks 5th Avenue, Cole Haan and fragrance and more, and as a bonus through his instagram; you will get a hint of Mrs. Queen of Style, Olivia Palermo. 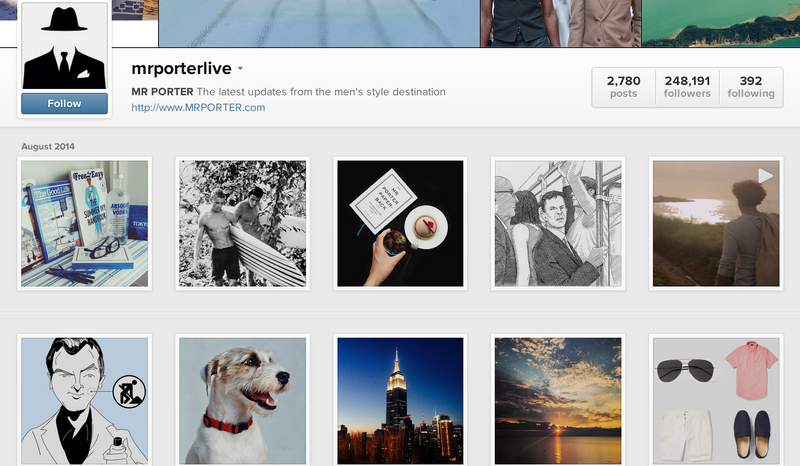 @mrporterlive – At this instagram page you will find the destination for men’s style. Features designer updates, expert advice and stylish fashion recommendations for around the globe. 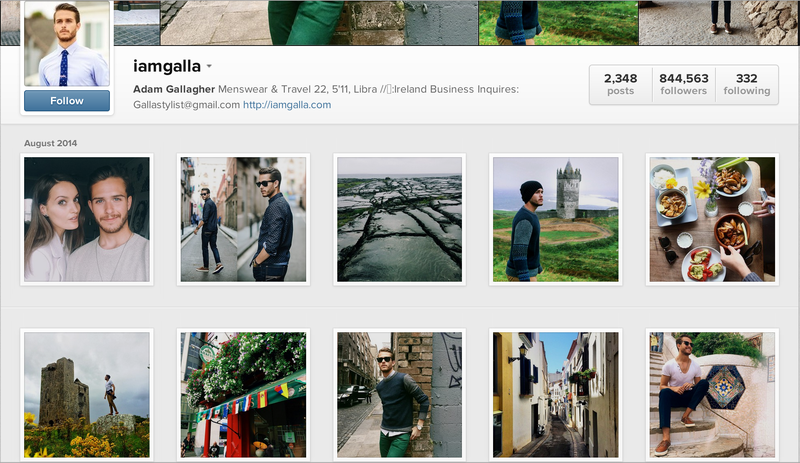 @iamgalla – Adam Gallagher is a well-tailored and well-traveled fashion blogger, wardrobe stylist, and personal shopper that updates his instagram with posts about fashion, menswear, travel and lifestyle. 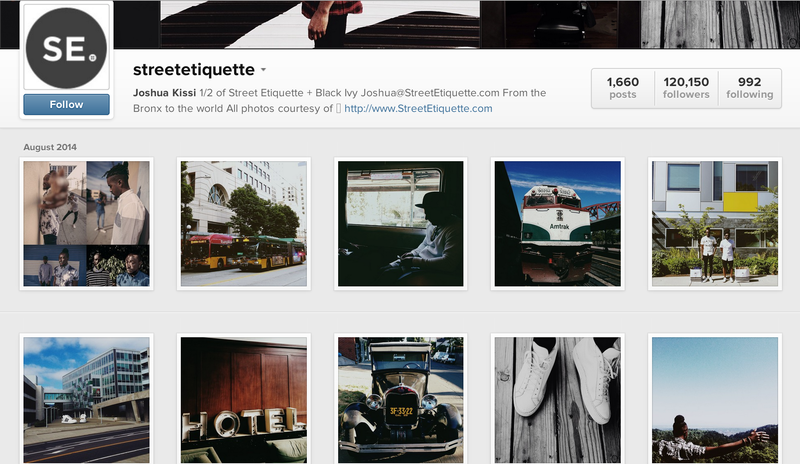 @streetetiquette – Street Etiquette is perfectly curated and never duplicated. Follow Joshua Kissi and his company Street Etiquette on popular men’s lifestyle that have a cultural, historical and urban perspective. Also find him on twitter. 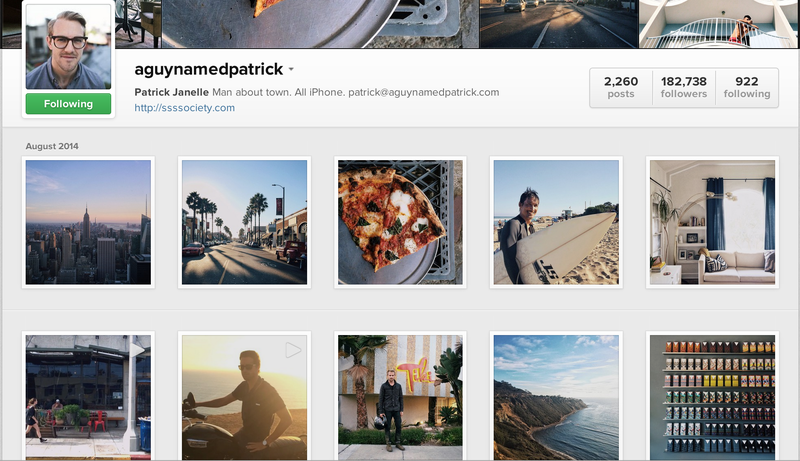 @aguynamepatrick – This instagrammer is the man about town, and the man at Magic Trade Show. Patrick was a blogger from Bon Appetit . Join him on his #DailyCortado. The working world has begun to embrace creativity in forms of colorful socks. Orange Beld took it to the next level. Mismatch matching socks are the new sock of wall street. Bright, bold, striped, and never boring. So pay attention Wall Street – colorful socks can show a position of power in the office; the louder the socks, the bigger the wallet. Same goes for techies at companies like Apple Inc. Just because you’re successful and run a business doesn’t mean you have to have boring socks! 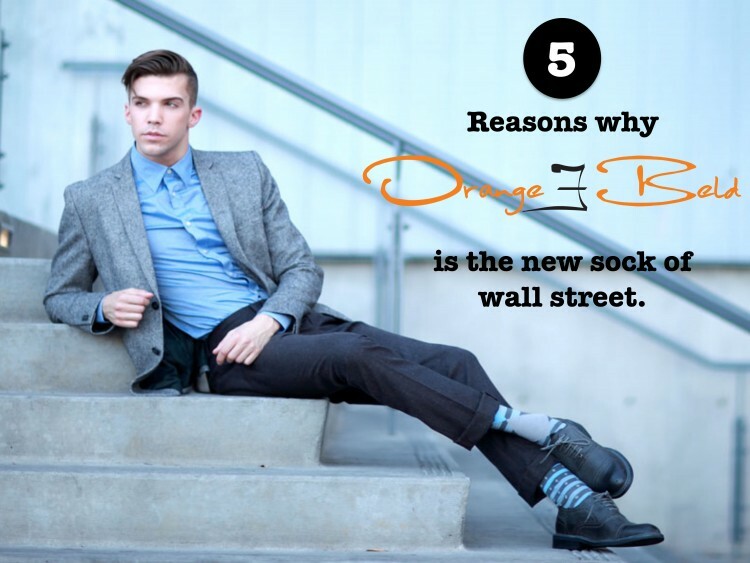 At Orange Beld, we strongly encourage wearing bright socks and expressing yourself through your sock wear. We don’t want to get anyone in trouble, so please, make sure to check with your boss before taking a daring step into the world of bold socks! For many men dressing in business casual attire, a basic rule of thumb that is commonly known is that the color of your socks should match the color of your trousers. At Orange Beld, we consider this rule to be a boring one, and like to advise our customers to go against the grain. Blacks socks with black trousers, blue socks with blue jeans, etc. How boring! Sure, for those who always dress strictly for business settings, it’s appropriate. But what if you want to be a more adventurous dresser? The repetitive matching could get dull after a while. So it’s time to mix things up. A classic sock pattern isn’t too radically colored, and is usually one to three different colors at most. Argyle is a good example of a classic sock pattern that still steps outside the box. It has been a classic style for men for quite some time, and you can get grey and black combinations or work with more vivid patterns of the trademark diamonds and lines with oranges and greens. Solid colors with other patterns such as simple stripes or paisleys are also a good choice. You don’t always have to match the trousers! If you’re going to make this choice, however, take care in your choices and you’ll look fantastic. “Bright” socks can mean bold, solid colors, patterns, or even socks with cartoon characters and other designs. While we encourage dressing with imagination, take care when it comes to what you wear to certain situations, such as a serious business meeting or an occasion like a funeral, where your attire is more about respect and less about individuality and expression. You can make a bold statement by wearing red or lavender socks with custom-tailored suits and handmade Italian shoes. It doesn’t always have to be so serious, and doing this can show your confidence in your style. If you’re not in a suit-and-tie situation, you basically have free reign to wear whatever socks you want in any situation. Do what you want! But it should be done right. Liven up a simple jeans and t-shirt outfit with a bold color or pattern of socks that is a contrast, but still completes the outfit. Wear a colored sock that complements another color in the outfit for maximum color coordination. Match your sock to your tie, your jacket or even your pocket square. As long as you put in some thought on how you are going to accessorize with brightly colored socks, there’s no wrong way to do it!